The U.S. tax code is in a constant state of flux, causing many small business owners to calculate their taxes incorrectly. They might be unaware of deductions and tax breaks that they are legally entitled to, or might simply make a mathematical error. No one wants to pay more in taxes than they have to, but underpaying can bring the IRS knocking on your door. To make sure your taxes are calculated properly, contact Virginia CPA firm Financial Advisory Systems, PLLC. We offer quality tax preparation and proactive tax planning strategies with the goal of reducing tax obligations for our clients. We are reliable and experienced accountants with proficiency in tax preparation. Our CPA firm keeps tabs on revisions to the tax laws, so our methods are always up to date and ensure you won't be subject to any tax penalties. We’re also familiar with available tax credits and deductions that can save you hundreds or even thousands at the end of the year. Find out how working with our Virginia CPA firm can take the pain out of tax time! 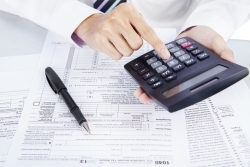 We skillfully prepare business tax filings for small businesses. Call us now at 571-379-5828 or 703-330-6544 and ask for John Beauchemin or request a consultation through our website and we’ll contact you shortly.